Aḷaṅkāra-śāstra pariciti by Bhābagrāhī Miśra and Śāntilatā Miśra. Kaṭaka : Phreṇḍas pabliśarsa, 1965. From the University of Chicago Library. 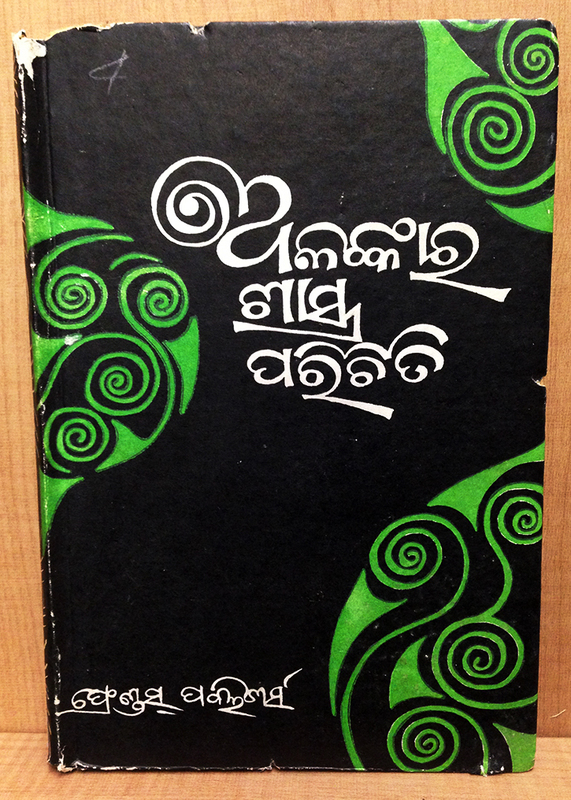 ଅଲଂକାର ଶାସ୍ତ୍ର ପରିଚିତି Alankara Sastra Pariciti, by Bhabagrahi Mishra and Shantilata Mishra. But what I do know: the repetition of this swirl pattern, in the ଅ and on the sides is quite fun, isn’t it?